Canada’s forests are an economically vital natural resource. The forest-products industry contributes over $60 billion annually to the Canadian economy. As concerns over the sustainable use of our forests grow, the global market is becoming increasingly competitive and consumers are demanding higher quality products. To meet these challenges and remain competitive in the 21st century, scientists are leading the way with innovative solutions to unlock the full economic potential of Canadian forests and manage our forests for the future. Forests provide biomass (dead plant matter), an important source of renewable energy. Demand for biomass is increasing as it is being used more and more in the production of fuels, chemicals and plastics. However, the use of biomass requires breaking down the woody part of the plant, known as lignicelloulose, into its major components: lignin and cellulose. Processes for extracting cellulose for pulp and paper products are difficult and inefficient; as much 35% of the total cellulose is lost. Lignin, a byproduct of these processes, is often used a fuel source. 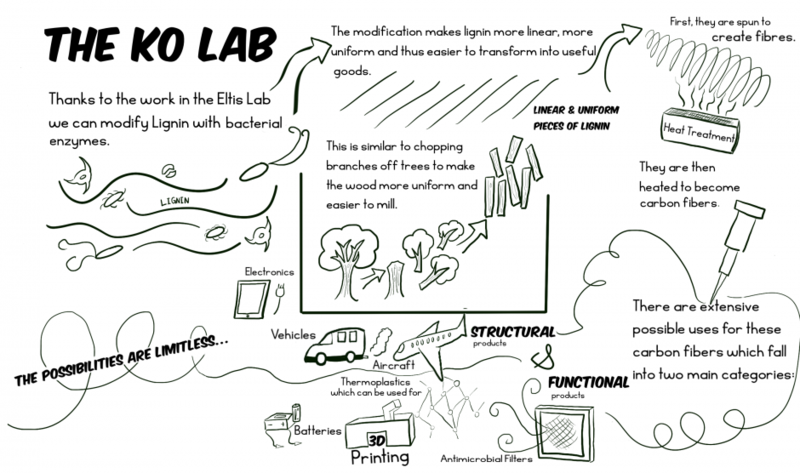 Researchers from this project are using microorganisms found in forest soil that naturally degrade biomass to create new products from lignin and maximize recovery. The development and optimization of industrial applications of bacteria that degrade forest biomass is estimated to increase the value of the forest industry by approximately $1 billion per year, but identifying microorganisms that metabolize or convert lignin into other more manufacturing friendly compounds is a lot like looking for a needle in a haystack. A single gram of soil can contain thousands of bacteria. 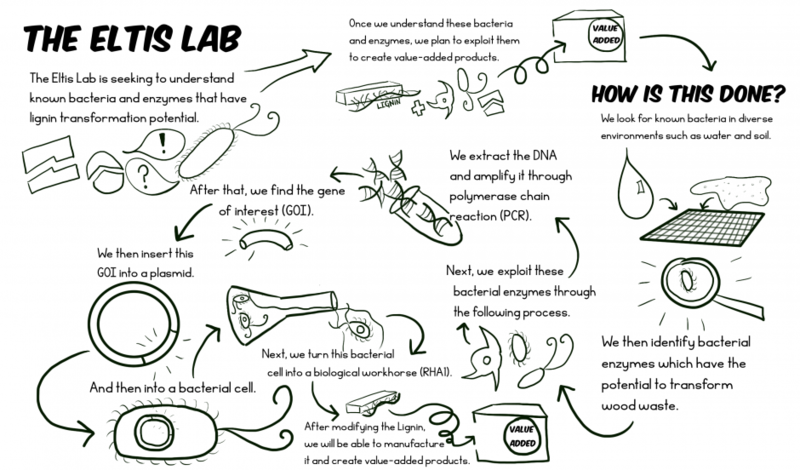 Using genomics tools, scientists will characterize the metabolic diversity of microbial communities from soil samples that come from a differently managed forest sites. 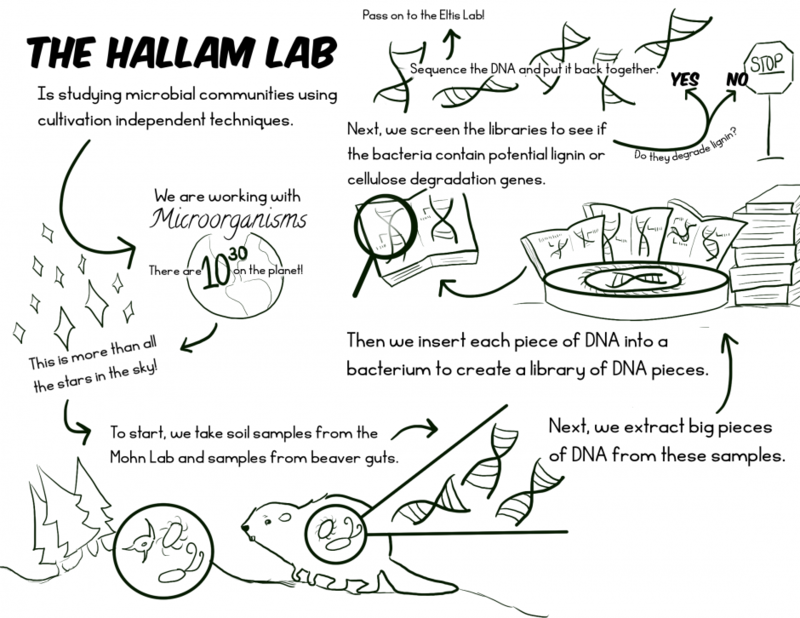 As a result, the project will be able to screen bacteria for lignin metabolism as well as provide knowledge on how forest management strategies affect the soil microorganisms and eventual breakdown of forest biomass. In collaboration with forest managers, industry, community stakeholders and other researchers, the impact and commercialization of the new technologies to be developed will be evaluated so that in addition to providing novel genomic tools for assessing forest management practices, this research will result in products and approaches that will maximize the economic and sustainable development of our forest resources. 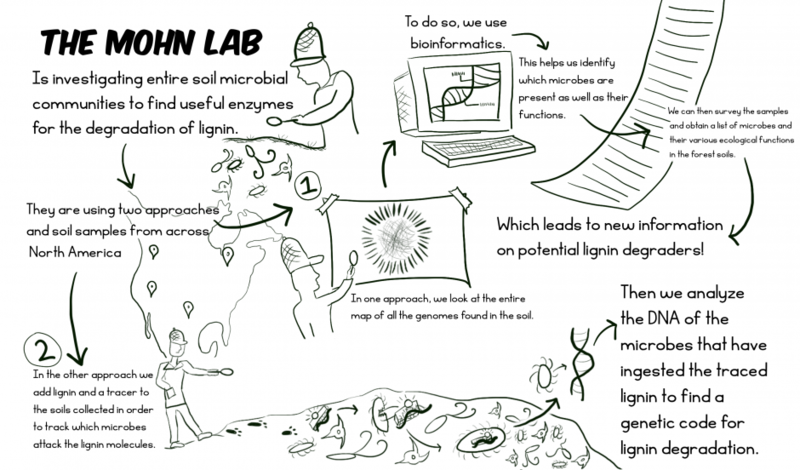 Click on the following links to find out how each lab contributes to the Lignin project. For more information on the project, please visit Genome BC.